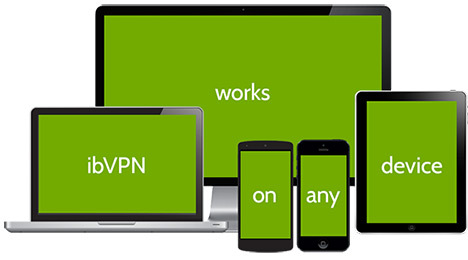 InvisibleBrowsing (IB) provides highly regarded VPN services, as well as Smart DNS services. Invisible Browsing DNS has many servers situated around the world and customers will be able unblock popular media streaming sites in a variety of locations including the United States, United Kingdom, Australia, the Netherlands, France, Switzerland, the Middle East and South America. This remarkable variety of server locations makes Invisible Browsing Smart DNS service one of the services of choice for a number of expats and people that travel frequently. Accessing popular media sites from around the world is the prime objective of a good Smart DNS service. The Invisible Browsing Smart DNS allows users to log in by way of its many servers which scramble the originating DNS look up so it appears the customer is in a location where such services are accessible. Invisible Browsing DNS is continually adding to its total servers so even if some popular channels are not currently available it is possible they may be available in the future. Where users will benefit immensely from this service is when they want to stream popular TV programmes, movies, sports or radio from channels located in countries that only service streaming within their own location. Hulu for example, is only available in the United States. Customers wanting to stream from Hulu need to be situated in the States or have ways to fool the Hulu website into thinking they are situated in the States. Users can use a VPN for this, however streaming via VPNs can be incredibly slow as the encryption slows down the transmission of all data, and additionally the VPN often shares bandwidth between all users logged into specific servers. The IBDNS service is available on a monthly basis, or provided at discounts when users register for payment plans over longer periods. Some of the popular sites unblocked by Invisible Browsing DNS include Hulu, Netflix, Hulu, Amazon Video and Vudu in the United States; BBC iPlayer and Sky Go in the United Kingdom; Discovery Channel and History in Canada, Ten and ABC iView in Australia France TV and Canal Play in France; ; and Netflix in Latin America or Al Jazeera Sport in the Middle East. It’s possible to configure Invisible Browsing DNS on most Internet-enabled devices. These include Smart TVs, games consoles and set top boxes. The website provides tutorials for connecting Smart DNS service to these devices, including Windows XP, Play Station Vita, Kindle Fire, Android and DD-WRT routers. These tutorials are available in the IBVPN Knowledgebase. The IBDNS support service is comprehensive and includes instant chat, an email support ticketing system, FAQs and also there is a lot of problem solving advice on the website included within the Knowledgebase. Payment for registering plans is possible by a number of means, including popular debit or credit cards, CashU or Bitcoin, so even if users want to stay totally anonymous they have this ability, as no card or address details are required with some of these payment methods. Customers who want to sign up for VPN services in addition to Smart DNS will find IBDNS is included in two VPN plans, so Smart DNS is available at no added cost. When users sign with Invisible Browsing Smart DNS they are signing up for a popular service that allows them to access the streaming they want at any time of day or night. Bandwidth is unlimited, so customers are not limited to how much media is streamed. Accessing the service via a variety of Internet enabled devices means customers have the ability to watch popular channels from a variety of services at the same time in different locations around the home.